Joined by a particularly bizarre cast of characters that included The Pope, terrorists, and gangbangers, Prozak delivered the official “Hate” music video this past week and despite the name, fans are absolutely loving it. The brand new video first premiered courtesy of FEARnet and features Prozak inside a church while the varying cast of presumed villains takes turns at the piano behind him. Simple and yet very odd, the music video was a perfect example of Prozak’s creativity and unorthodox approach to film. As the latest music video from Prozak’s critically acclaimed Paranormal, “Hate” has most definitely caught the attention of fans all over the web. Click here to purchase Paranormal. 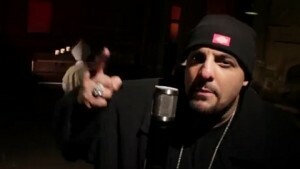 What did you think of Prozak’s “Hate”? Do you agree with the reactions from fans?